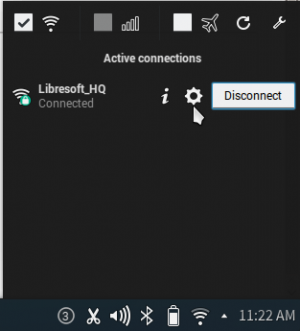 1. click on Network Icon in the Task bar. 2. 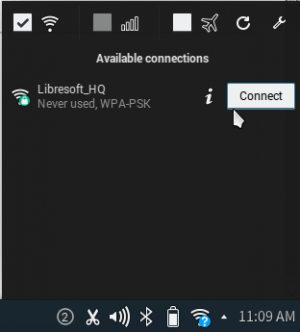 Select your Wifi network then click connect. 3. If required enter your Wifi password. 2. 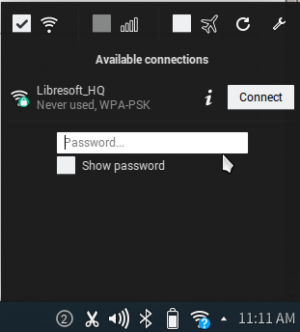 Enter the connection name and password. 3. 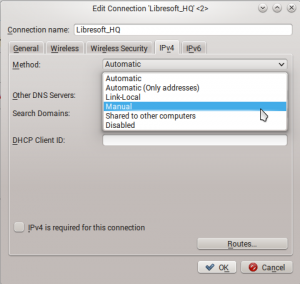 In IPv4 tab select Manual in Method. This page was last edited on 9 January 2016, at 12:55.